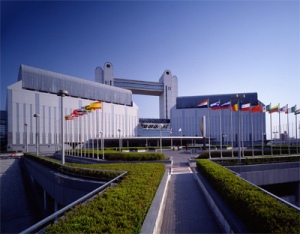 Once every four years, Quaternary researchers from all over the world meet at the INQUA Congress to exchange the latest research results and develop agendas for the years to come. In 2015 a WARP Session is planned lead by Tony Brown, University of Southampton, titled: Wetland archaeology and environmental change (http://convention.jtbcom.co.jp/inqua2015/session/h04.html). 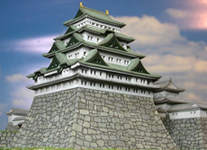 The Congress will take place in Nagoya, Japan. The Nagoya Congress Center (NCC), the venue, is the largest conference facility in central Japan. 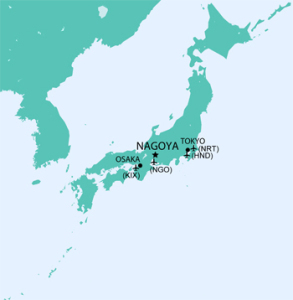 Nagoya is located between Tokyo and Osaka, connected to both cities by super-express trains (Shinkansen) departing every ten minutes. Kyoto and Nara, former capitals, Lake Biwa, and the Japan Alps are located within easy access of Nagoya. Archaeological sites in wetlands and lake environments have revealed remarkable aspects of the human past that are out of reach of typical dry-land archaeology. This includes the perishable components of material culture that were far more important in early prehistory prior to the use of metals or indeed today. Whilst the excavation of wetland sites started in NW Europe, especially on the famous lake villages of Switzerland, it has now expanded worldwide to southern Europe, North America, and even Africa. One of the geographical areas of greatest potential is SE Asia including Japan, where excavations of Jomon sites have revealed both remarkable, but also important, details of past human lives and their relationship to changing environmental conditions. Because of the exceptional importance of environmental data to wetland archaeology its study has always been closely related to Quaternary studies and this session will exploit this Quaternary-Archaeology synergy. In this session, jointly convened by European and Japanese environmental archaeologists we will address how studies of wetland sites (wetlands and lakes) can contribute to studies of Holocene hunter gatherer lifestyles including plant and animal husbandry, to the history of agriculture worldwide and the relative importance of environmental change at a variety of scales from the short-lived and local ‘events’ to global trends. Hope to see you there. Here’s the main INQUA web site: http://inqua2015.jp/index.htm . Here’s a picture of the Nagoya Conference Center and location in Japan. 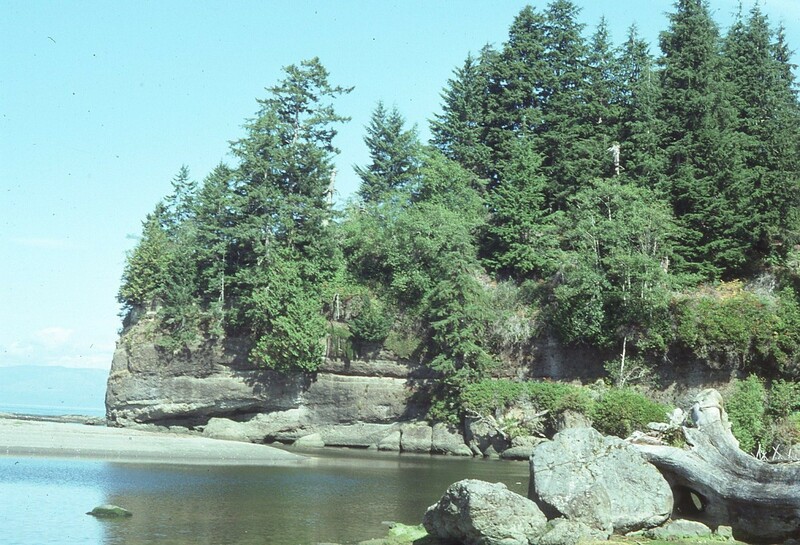 The site consists of an area above the beach where food resources were processed, an intertidal shell midden, and an area where those gathering and processing would have temporarily lived. 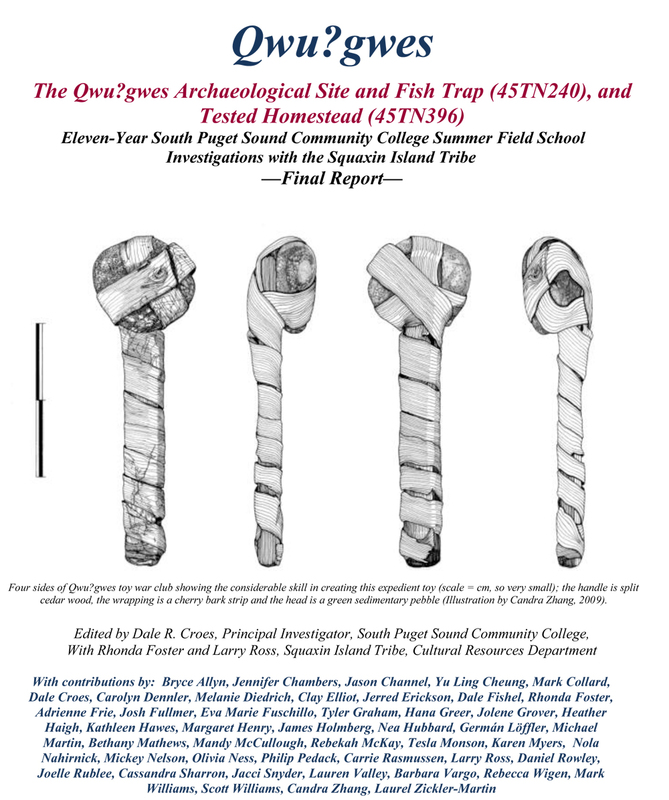 Also present nearby is a fish trap complex at the end of Orr Cove, northeast of the Qwu?gwes shell-midden (both considered 45TN240) and a homestead area to the southeast of Qwu?gwes that is associated with the original Donation Land Claim (45TN396). Qwu?gwes is archaeologically significant because it (1) is the first substantial excavation of a site in all of south Puget Sound, (2) includes a waterlogged preserved section containing examples of wood and fiber artifacts in a major resource camp, and (3) contains a distinct record of shellfish and fisheries used at this camp. 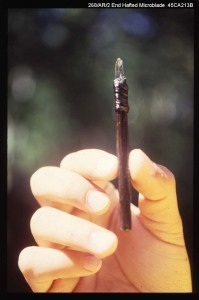 From the beginning, the research and analyses for this multi-year field school project have been approached from two, equally important perspectives: (a) the scientific descriptive analyses and (b) the cultural explanatory analyses, both involving tribal representatives and archaeologists following the goal of an equal partnership through the 11+ years. These views are often complementary and provide a more comprehensive overview and place from which to offer joint interpretations of the ancient history of Qwu?gwes. The Qwu?gwes project has always been an educational training effort, not just a rescue excavation. Less than 35 cubic meters (2.3%) of the site have been excavated during the past 11 summer seasons of investigation. 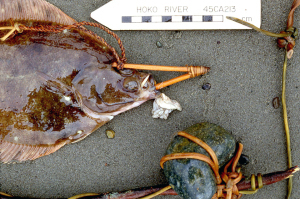 The 55, 1×1 meter units excavated by 2009 clearly revealed examples of three use areas: (1) a temporary habitation area, (2), a shellfish and other foods processing area, and (3) an inter-tidal waterlogged discard shell-midden area on the beach. These three distinct use areas serve as the focus of comparison for the data sets summarized here.